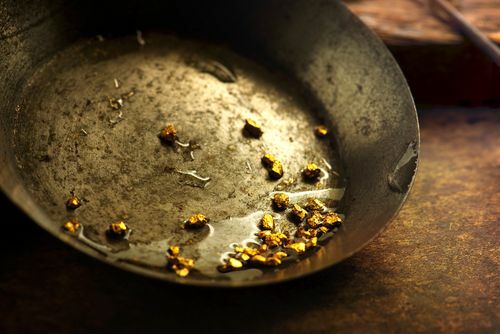 Gold was originally discovered by humans around 5000 B.C. and is so valued that most of the gold mined since that time is still in circulation. The word is commonly used to describe anything cherished, beneficial, rare and difficult to obtain. It is a good way to view your customer database. Extracting gold from the earth requires thousands of man hours, millions of gallons of water, and moving tons of earth. Profiting from your database is less work than all of that, but it does require customer database follow-up. People like being loyal. They like sharing their opinion and letting others know about something that has enhanced their lives. Let the people in your customer database know you appreciate their loyalty and referrals. Just as important as incentivizing referrals, make it easy for them to tell others about you. A customer relationship management (CRM) system can help you grow your business by helping you collect and organize contacts in a manner that works best for you and allows automated customer database follow-up 24/7. There is no one medium that delivers the same return on investment as a comprehensive enterprise marketing system. Regardless of your budget, you must tailor your customer database follow-up program to work with people at every stage of relationship with your company. The communications you send to prospects should be different than the follow-up messages and notes you send to existing customers. If you want to continue reaping the benefits of your customer database for many years to come, treat your customers like gold. Keeping them “in circulation” and involved with your company requires interacting with them on a regular basis. Timing is everything, and everyone does not raise their hand at the same time. Use the latest marketing solutions technology to be ready for your customers when they are ready to respond. A complimentary company database is available, if you’re ready to put your database to work.